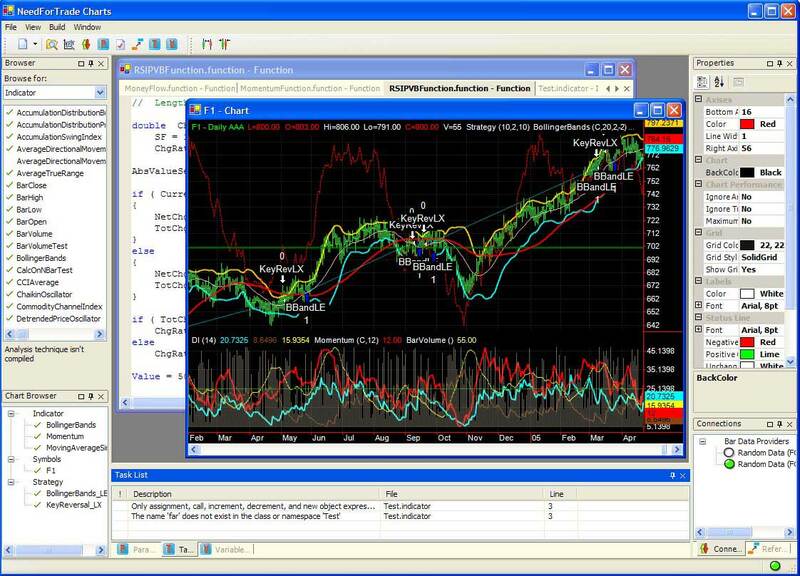 NeedForTrade Studio is a unique powerful commercial platform for financial charting and technical analysis. You can buy NeedForTrade Studio here. Please, take a look at the NeedForTrade Studio Features. Please try our FREE NeedForTrade Studio Lite, which is as powerful as full Studio, except that it doesn't support strategies: Studio Lite Overview. Develop and back-test strategies. Don't spend a dollar for a bad idea. Test before trade. Powerful charting. You can adjust every single aspect of any chart. Trading Support. Make real money. 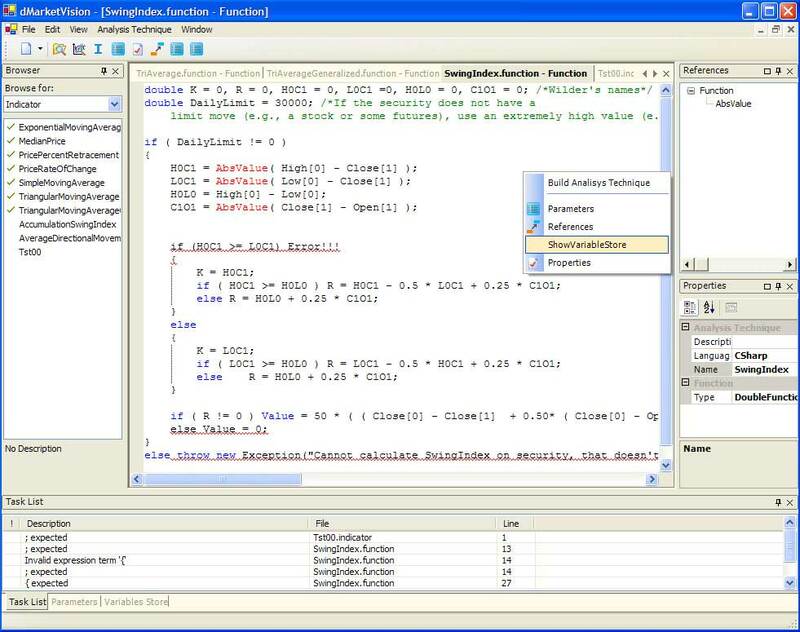 Visual Basic and C# languages with hidden automatic service code generation. Concentrate on your trading ideas. Not code. 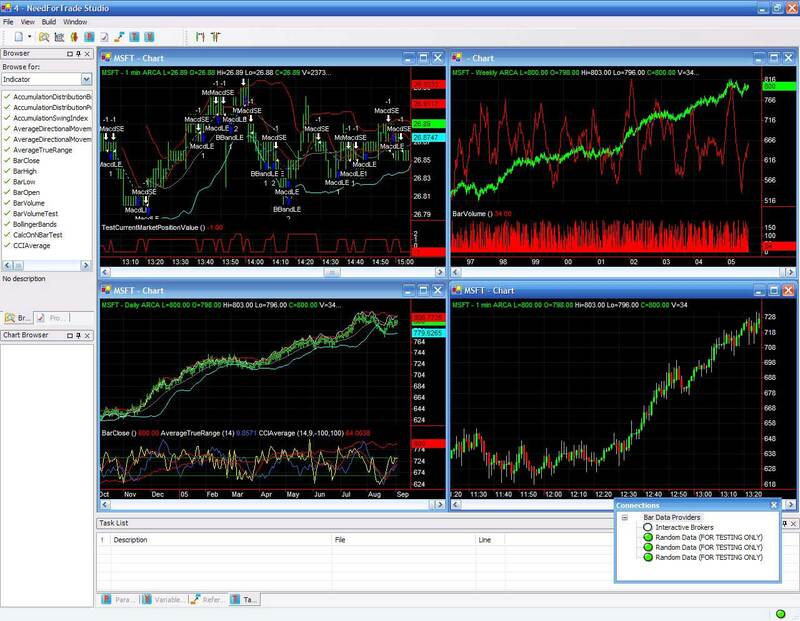 Development of strategies and indicators is as simple as using TradeStation's EasyLanguage. Full-featured debugging support. All automatically generated code is hidden from debugger. Debug only your code. Portfolio analysis. Mix any symbols and/or time intervals. Optimization of strategies parameters. Porftolio optimization. Custom target functions and optimization algorithms can be implemented. Automatic strategy performance reports generation with fully customizable analysis. Create your own statistics and charts. Simple and intuitive interface. Do not waste time to learn. Detailed documentation with step-by-step illustrated instructions. You can take a look at the NeedForTrade Studio screenshots below or view detailed NeedForTrade Studio Features or view more detailed Overview. You can buy NeedForTrade Studio here. 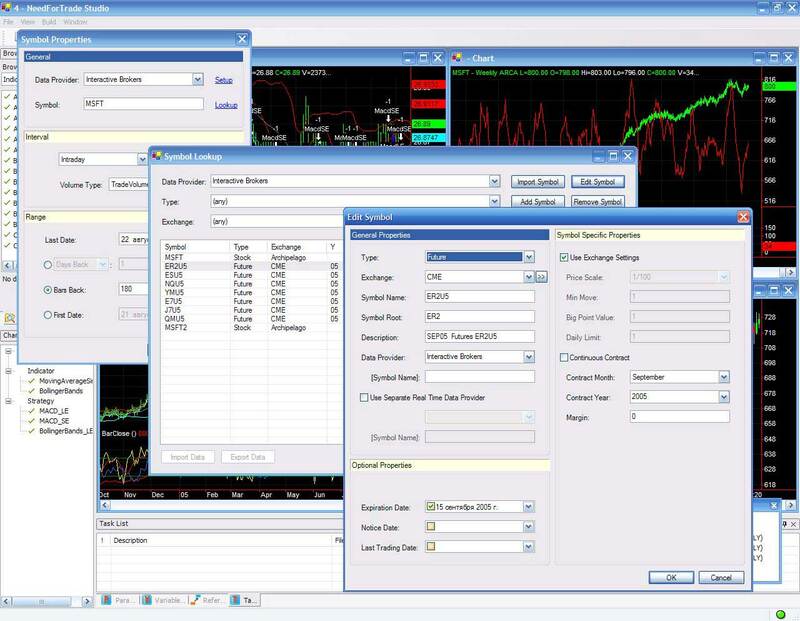 To download FREE NeedForTrade Studio Lite, please click here. *Microsoft .NET Framework, TradeStation and others are registered trademarks of their respective owners.